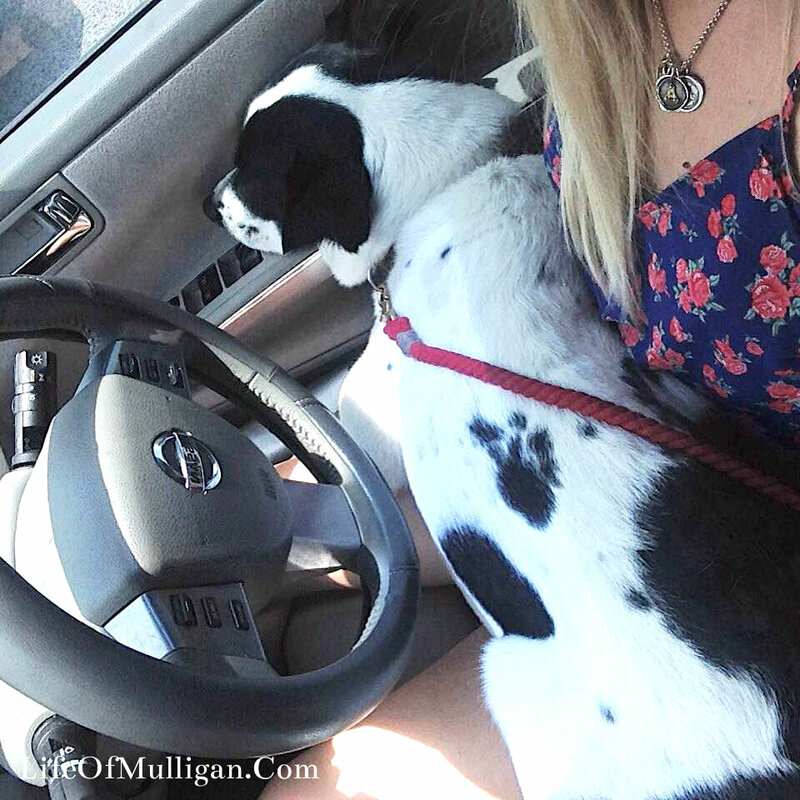 I don’t go anywhere without Mulligan! Especially trips. 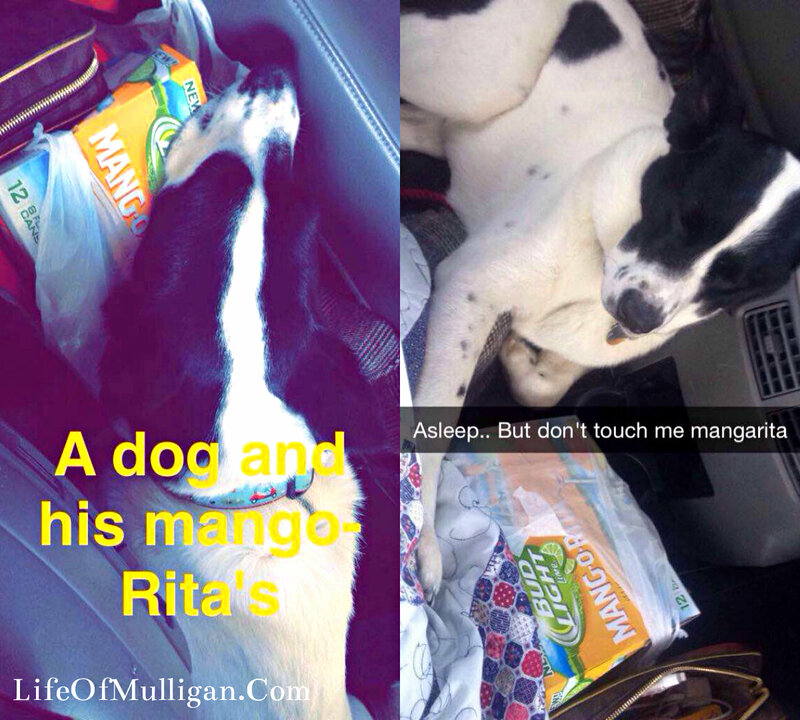 Mulligan is a part of this family and I don’t want him left at home when we travel. 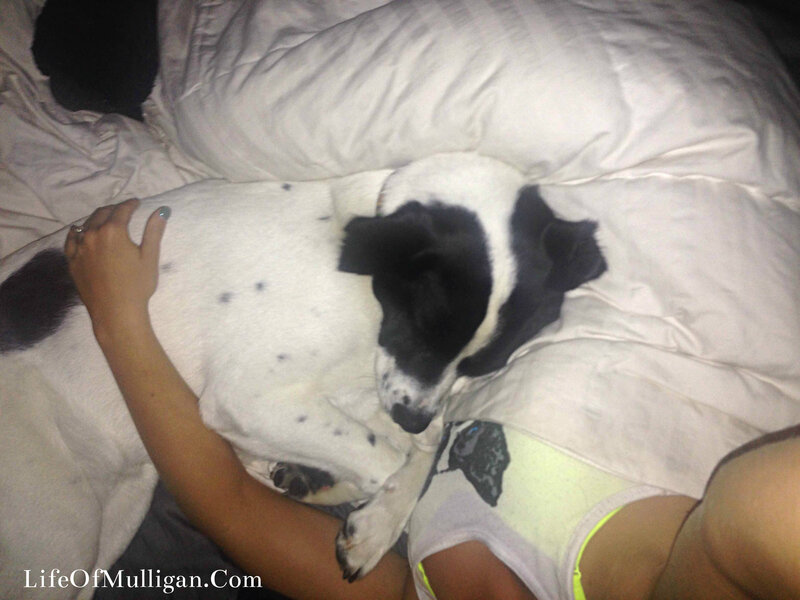 Since the day we adopted Mulligan he has NEVER been kept in a crate or been kenneled. After he did his time in the shelter I didn’t feel right ever putting him back in a cage or leaving him, and never have! That being said I feel I have become somewhat of a pro when it comes to traveling with a dog! 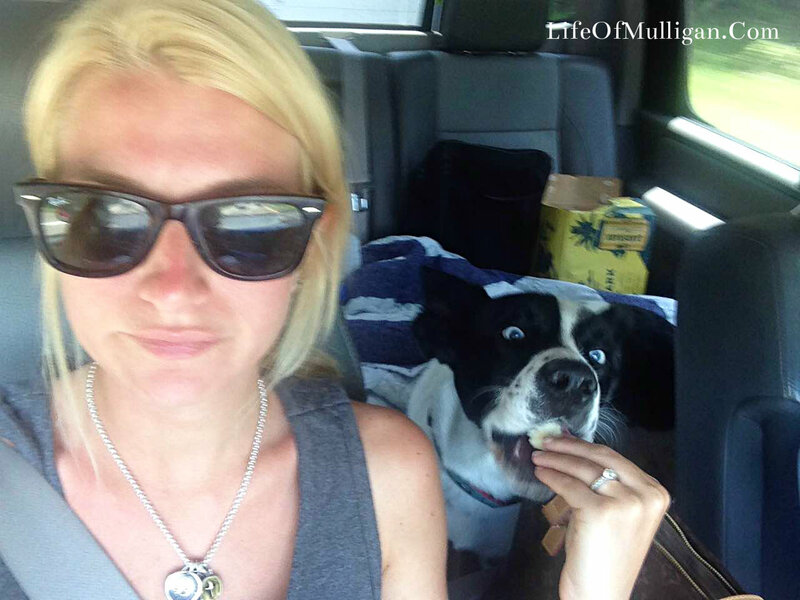 Family trips, work trips, Purina trips, day trips… we’ve taken them all! Here are 10 things you need to know! Pack a bag! Yes, pack your pet a bag! They need everything you would use for their daily routine, just like you need everything for your daily routine! Hotels don’t come standard with poop bags & dog bowls like they do shampoo & a hair dryer. This is just common courtesy… basically you’re just rude if you don’t. 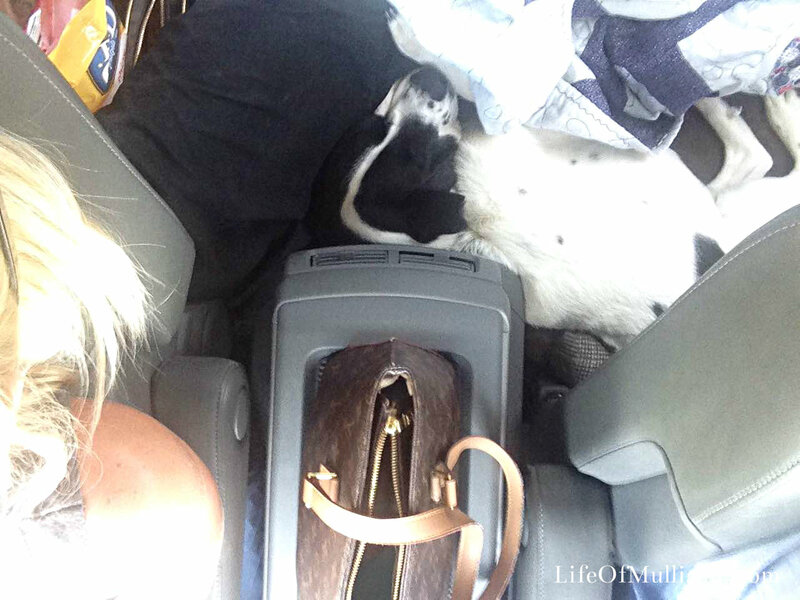 Obviously this is the most comfortable travel spot… because it’s totally safe to drive with a 55 pound dog in your lap. I always set up a travel spot in the car for Mulligan. I place his bed in a secure spot in the back of the car & make sure he has room (aka the entire back seat). OR if we’re in a SUV I’ll put his bed & a pillow etc. down to make a pallet in the floor, always making sure he is close to an air vent! Tried to trade places… he shut me down quicker than Kim Kardashians’s first wedding. Then snored for the next two hours straight to rub it in. RUDE. For short quick trips this is nothing to really worry about. 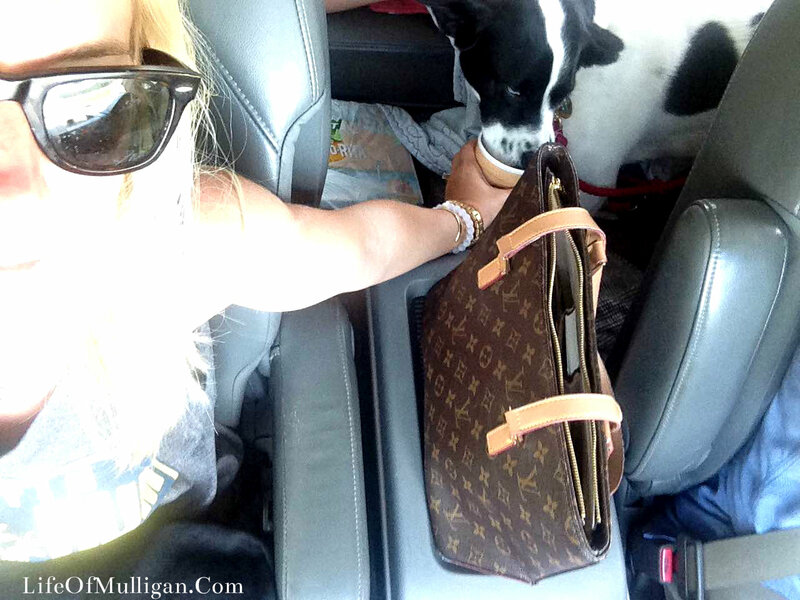 However, for long car rides I always make sure to pack snacks (bones, treats, etc.) 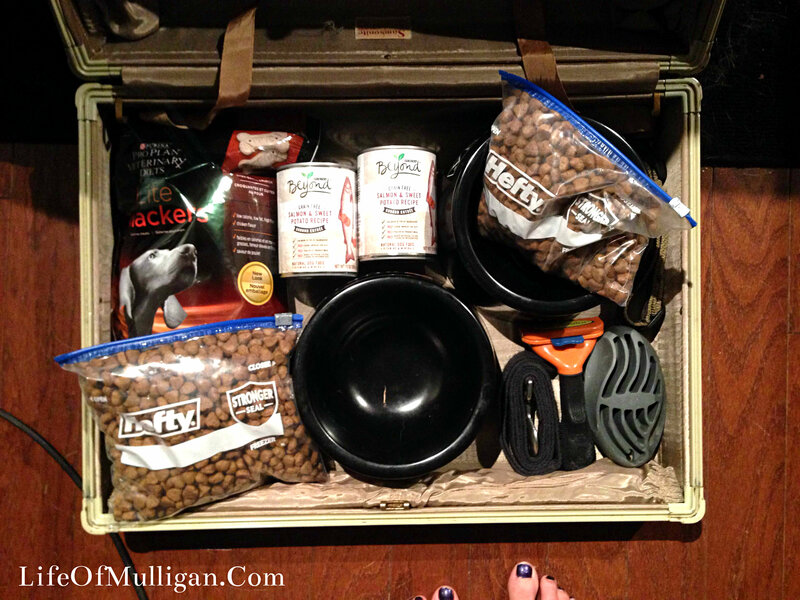 for Mulligan or make sure I have food ready for him to eat when we stop for food! And yes… I do mean dog food. 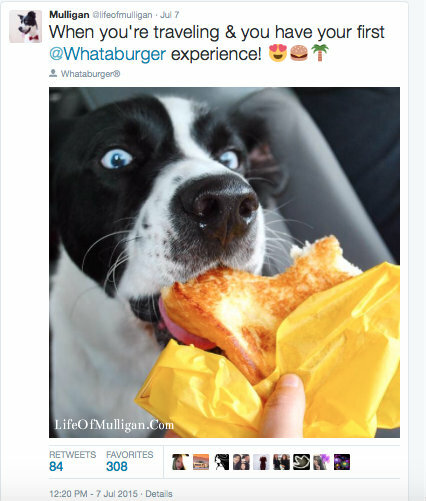 But I mean… come on… how cute is he eating that Whataburger grilled cheese?! 5) PACK SNACKS FOR YOU! But mainly just so your dog can eat those too. I always have a cooler with cold water bottles & Mulligan’s cup! This way I can fill the cup up with cold water for Mulligan any time he needs it! I can also leave the cup in the cup holder so that he can get to it himself any time he wants AND you don’t have to worry about spills! Blaming my pea size bladder & constant need for a bathroom break on Mulligan’s “need” to walk and pee sure did come in handy! No one was fooled… Im not allowed to have liquids on trips. 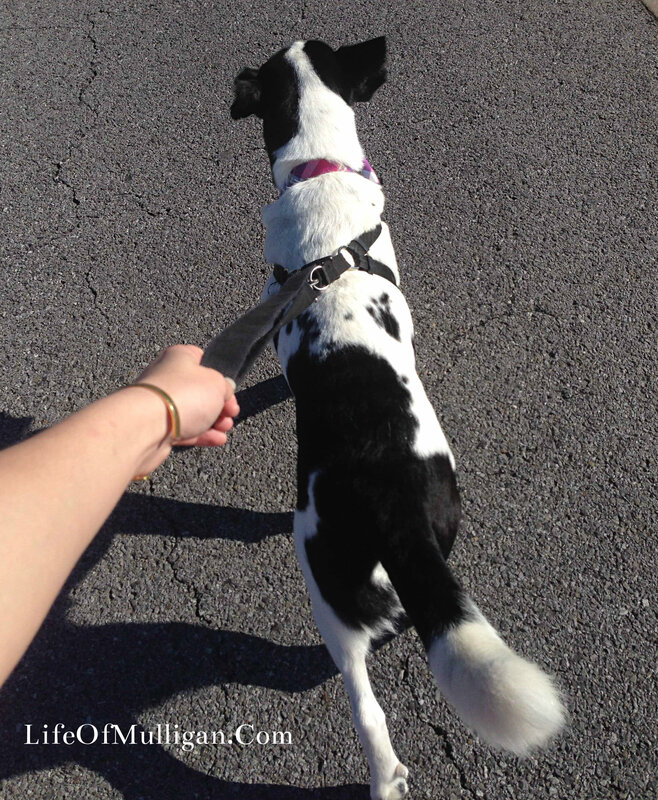 Remember to get out and let your dog stretch his legs! Making a point to pull over here & there to let them walk for a bit & take a bathroom break! More & more places are becoming dog friendly! 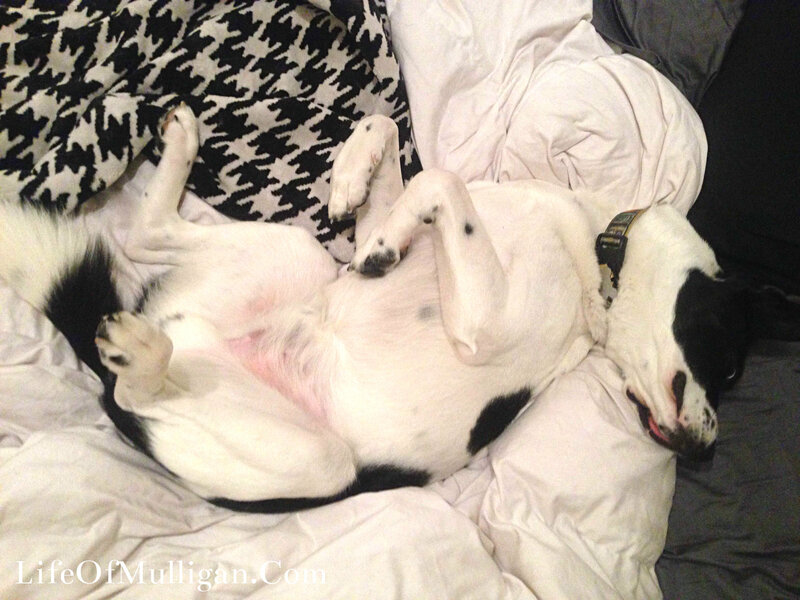 It’s not hard to find a hotel that allows for your dog to stay with you! 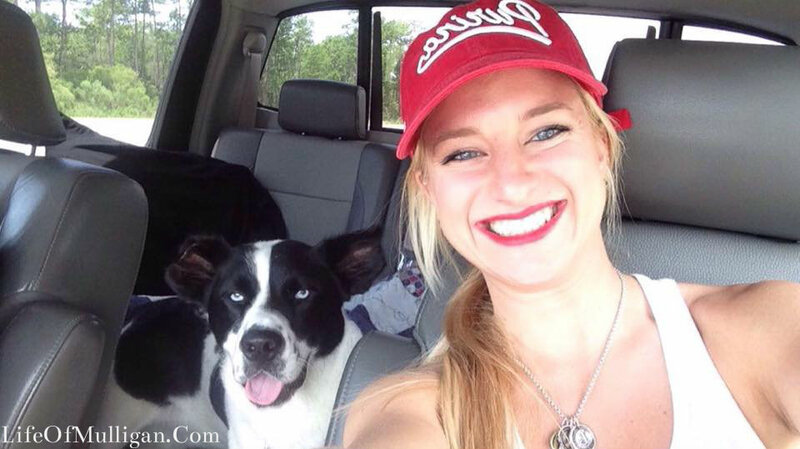 We have stayed in several dog friendly hotels as well as vacation rentals! 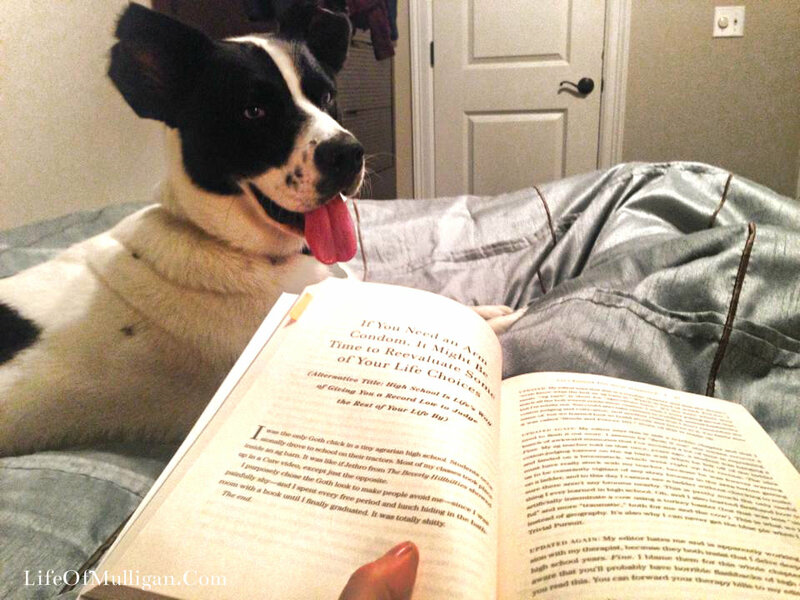 Because everyone needs a good bed time story! …That and cable in a hotel room is a joke… not paying $9.99 for a movie either. 10) ENJOY THE TRIP WITH YOUR STAGE 5 CLINGER! Because you can’t truly enjoy a trip without your better half! 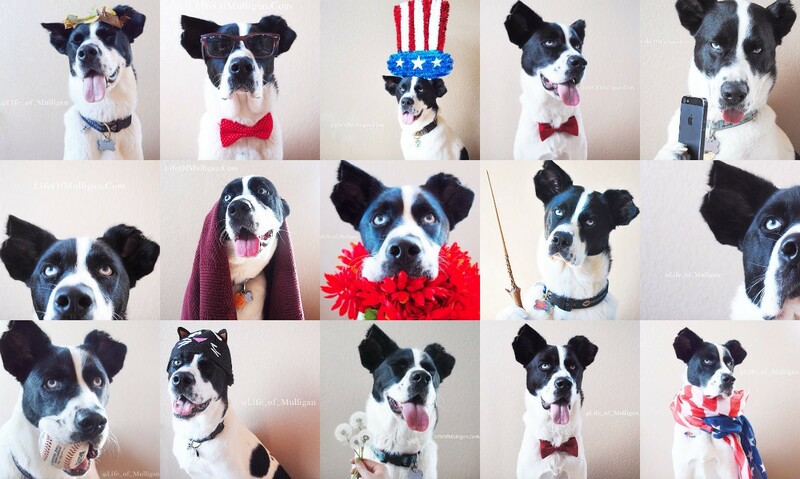 ← “Adopt & Shop” Event With Maude Boutique!